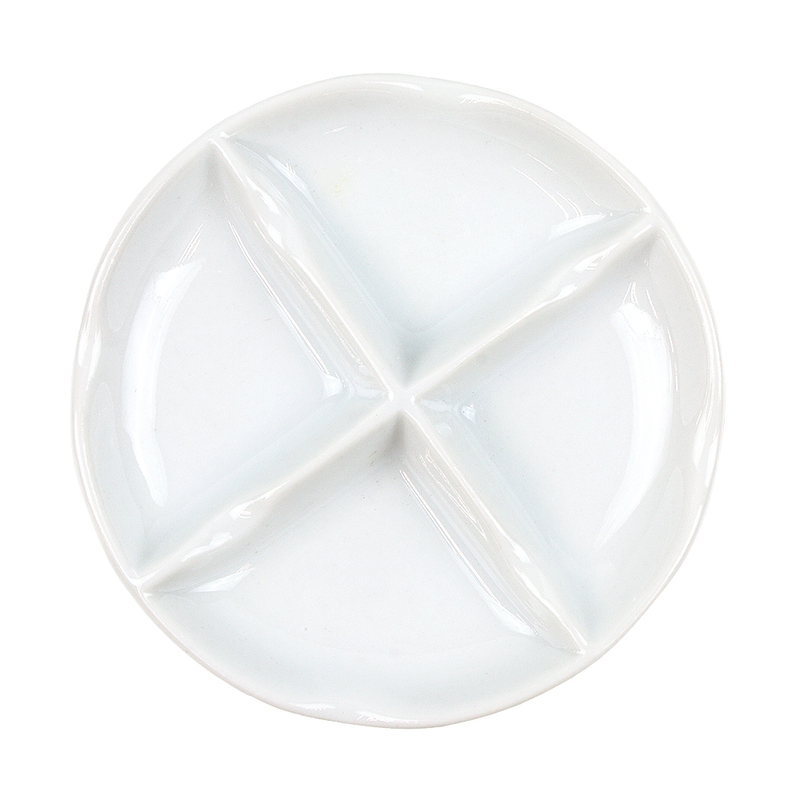 A quality white tinting saucer with four divisions. Ken Bromley's replies: The size is showing on the web site, but I guess it looks bigger in the photo. 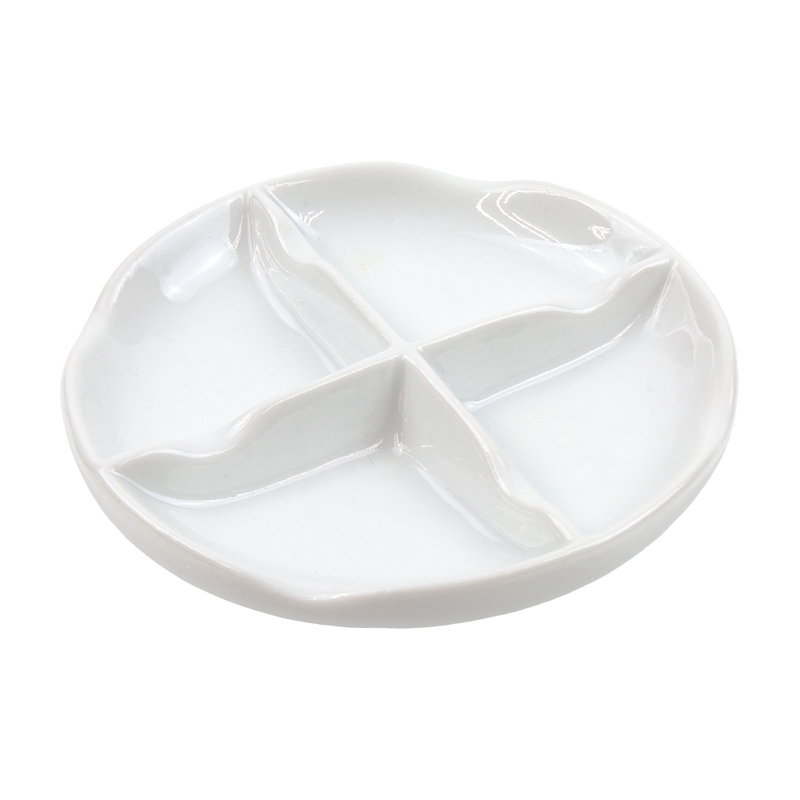 The size is 3.3" (8.5cm) diameter.